While many different companies added their own printing to cards that were already created, one issue that I had not previously seen that with was the 1890s J.L. Prescott/Enameline Paper Dolls. That changed recently with the discovery of one with a back stamp. The 1890s J.L. Prescott Enameline trade cards comprised a set of nine paper dolls. J.L. Prescott and Company produced the cards, which were used as a promotion for Enameline Stove Polish. A total of nine cards were produced in the set, which was available either by mailing three two-cent stamps or two two-cent stamps and three Enameline box top labels. These are unique in that they are not only die-cut issues, but foldouts that stand up on a flat surface as sort of a tent card. The most popular cards in the set are generally the ones featuring baseball and basketball players. Each sport was represented by a particular school. Over the years, the basketball card has drawn more interest as it is considered to be one of the earliest (perhaps the earliest) types of cards of that sport. These cards are rare but not impossible to find. But in the dozens of issues I’ve seen, I had never seen one with any sort of back stamp. If back stamps/printings are new to you, here’s a tl;dr version. Back stamps and printed advertisements added by companies are popular with several pre-war baseball issues. Essentially, these companies would take other cards that were already produced and printed and affix their own stamp or printing to them. The reason was simple – it cost them virtually nothing to do so as opposed to going through the expense of designing their own set and having it printed. Companies that did this then used the cards for all sorts of reasons. Some were as simple as advertising the business. Others were related to contests, etc. Strip cards were a common target for companies to add their back stamps. They were convenient because they were inexpensive (if not entirely free) and many sets left the backs blank. This made it easy to add any sort of stamp or printing. W514 cards, for example were used by Barker Bread and also Mother’s Bread. Cream Nut and Goodie Bread added their own printing to the backs of blank W573 cards. Henry A. Johnson, a confectioner, did the same to backs of W575-1 cards. Old Put Cigars added their stamp to the back of E98 candy cards. Many more examples exist and this was a relatively common occurrence. I recently discovered one of the 1890s J.L. Prescott/Enameline cards with a back stamp. This marked the first one that I’ve seen and despite searching many images of others online, have not found another with a back stamp. The card is the Illinois Wesleyan Basketball card, which makes it even more intriguing. The stamp on this card shown is for a business called the Wichita Wholesale Grocery Company. It was done in a standard purple-colored ink and measures about 1 7/8″ long x 1/4″ tall. While I haven’t seen this stamp on other Enameline cards (or even other cards for that matter), the company was a very real one. 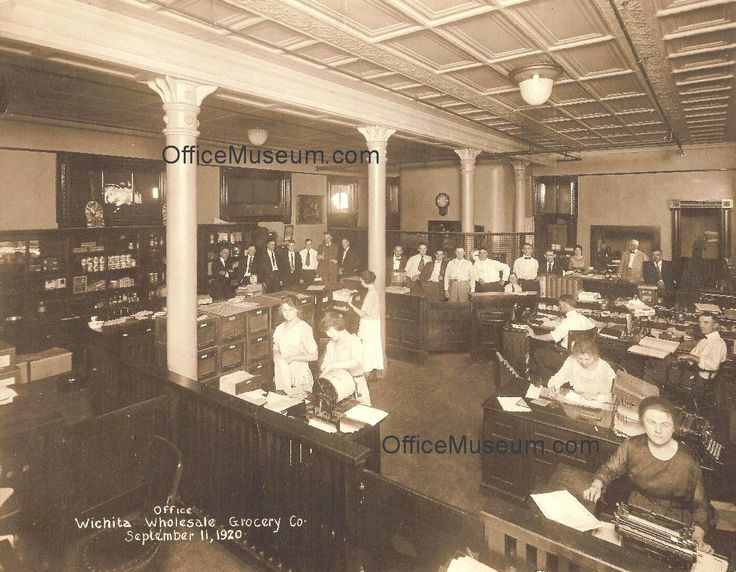 The company’s warehouse was located at 619 E. William Street in downtown Wichita. The warehouse was built in 1894 which, ironically, was right around the time of production for the Enameline cards. The company possibly helped use these as part of a promotion or, perhaps, to simply spread the word to grocers. Here is a picture of the building and here is the inside of the company’s offices. The company folded in 1925 and its warehouse was listed on the National Register in 1983. Here’s a close-up of the stamp. With this being the only known copy I’ve seen, I’m now going to be keeping my eye out for others. While some sets have numerous known copies of back-stamped or back-printed cards, sometimes, finding additional ones is difficult. A good example of that is the recently discovered H.A. Robinson / Robinson Crusoe W514 cards. Made known to the public at large in 2009, it was several years before a second was discovered and at the time of this writing, only two are known. Could this have been the work of simply an employee looking to test a stamp or just messing around with a stamp? Possibly. But that would also assume they had managed to have a card in that place at that time and why would one have been there? Plus, it’s not as if the stamp is easily read on a card full of text. Testing a stamp out would be more likely done on a blank sheet of paper. In addition, stamping the backs of cards was a pretty common activity. Most trade cards were used by a variety of companies that added their name/advertisement to them and these were produced right in the middle of the trade card era. When you add the fact that the company opened its warehouse in 1894 right around the time these were produced, it would make sense that they used them as a sort of advertisement just as plenty of other companies did.